It's that time of year again when the village of Barlborough in north Derbyshire comes alive for its annual National Garden Scheme open weekend. 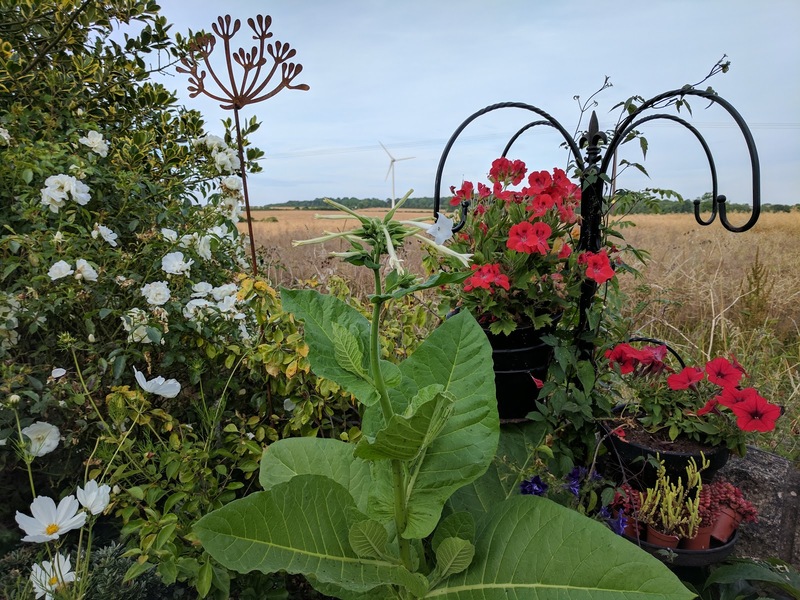 This Saturday and Sunday five gardens across the village will be open to visitors to raise money for the various charities that the National Garden Scheme supports. This year is particularly special as it is the 90th anniversary of the first gardens opening to the public. I took a trip to one of the gardens, The Hollies, to share a preview what the visitors will be able to see. The house was built in the garden of what was then the last house in the village. As such it has a very long drive but every inch of the space is utilised. 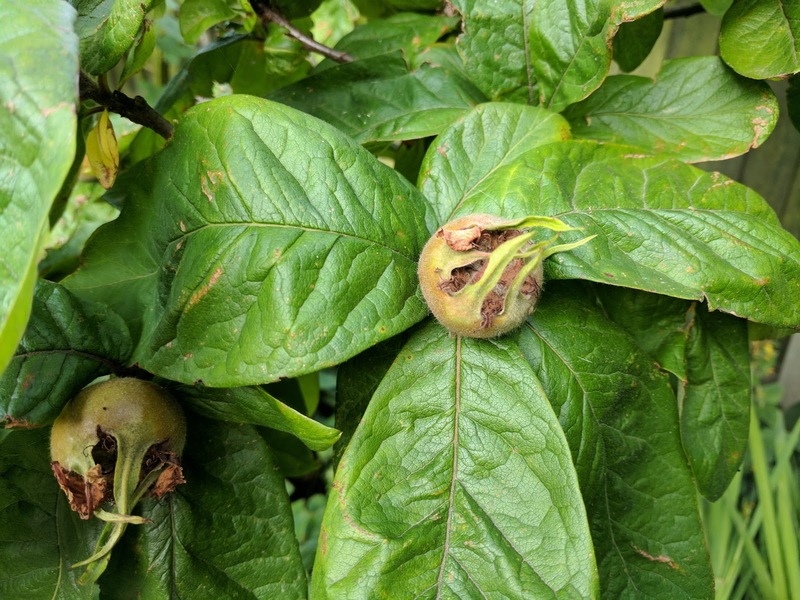 This year it seems it will be a very good year for all types of fruit and the medlar crop is looking very promising. Remember it is a fruit that you need to go rotten before you start to scoop out the flesh. The logo of Barlborough Gardens is an oranges and lemons rose. This unusual striped variety always pops out with a zing of colour to welcome people into the garden. As a backdrop to the fields behind the apples are coming along nicely. 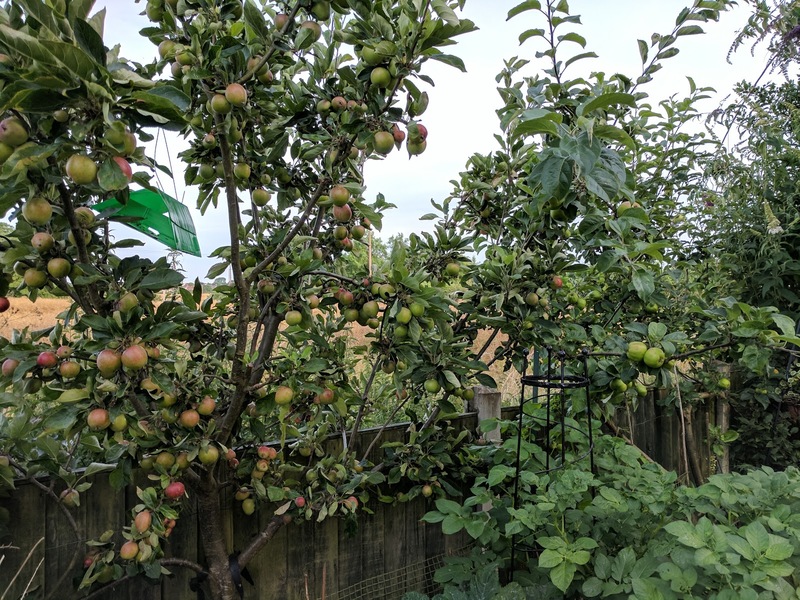 Once ready for picking any apples that can't used immediately will be stored through the autumn. On the other side of the driveway are narrow troughs and planters. 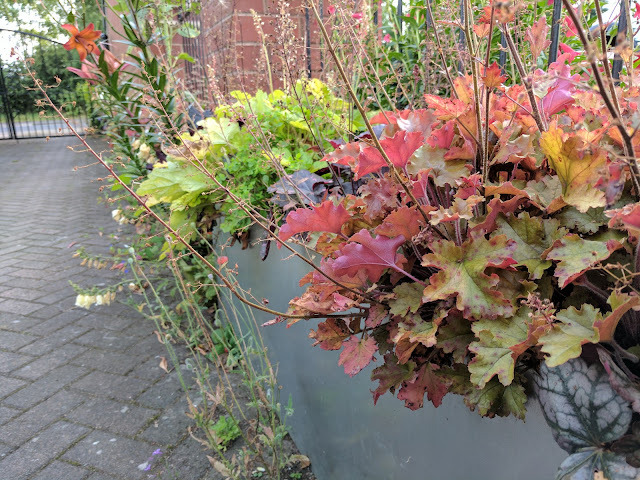 Many of them are filled with a range of heucheras of all colour hues. One for your Pinterest boards! 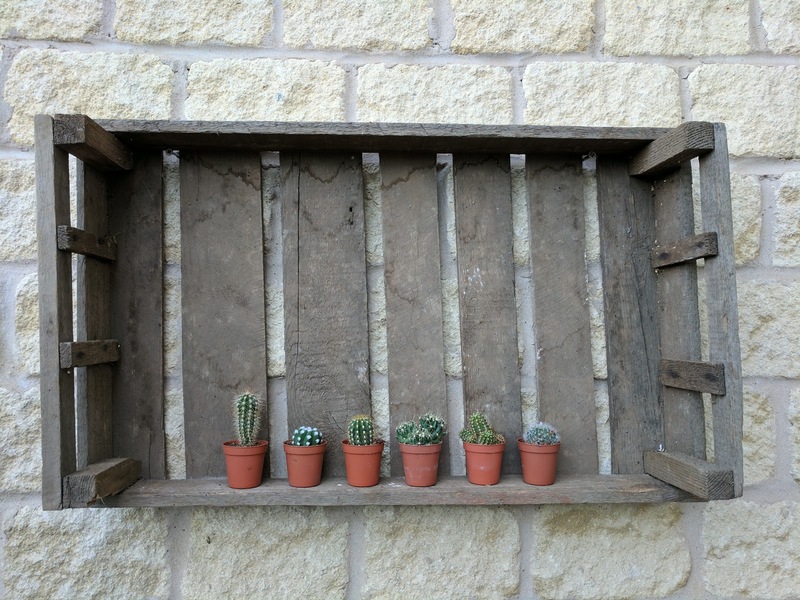 The cactus box shows how a simple wooden box can add an extra dimension to your garden. Even if you have no outdoor space you can add a bit of greenery if you have wall. 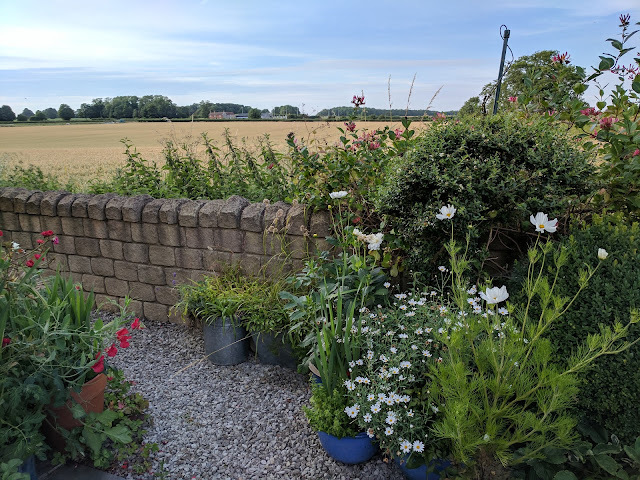 After you have worked so hard to create and maintain your garden it's important to find a space in order to sit down and enjoy it. On the back patio the garden has views over two fields. Visitors will be able to enjoy a drink and a slice of cake whilst overlooking the fields. 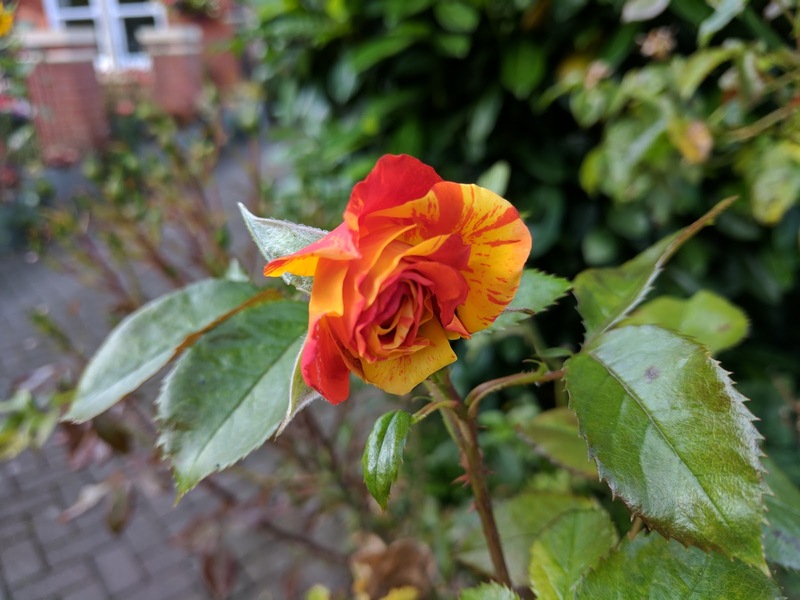 I get torn between roses and dahlias as to which are my favourites. These are beauties with their big, bold blooms. 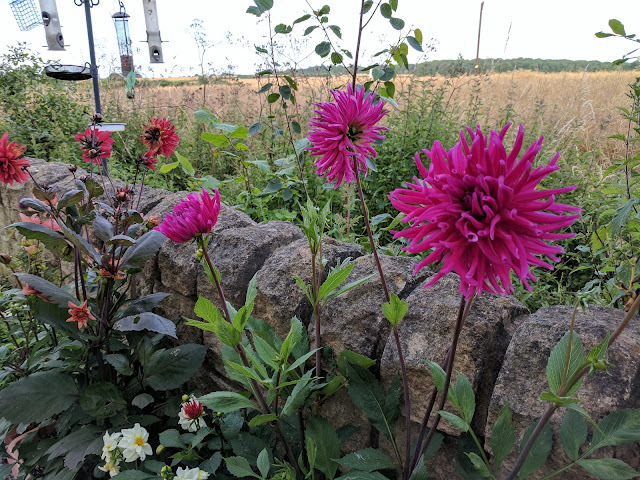 Dahlias are great for adding colour and interest in garden all the way through to October. Barlborough Gardens will be open on Saturday 29th July and Sunday 30th July 2017 between 1pm and 6pm. Combined admission for all five gardens is £6 with children free. 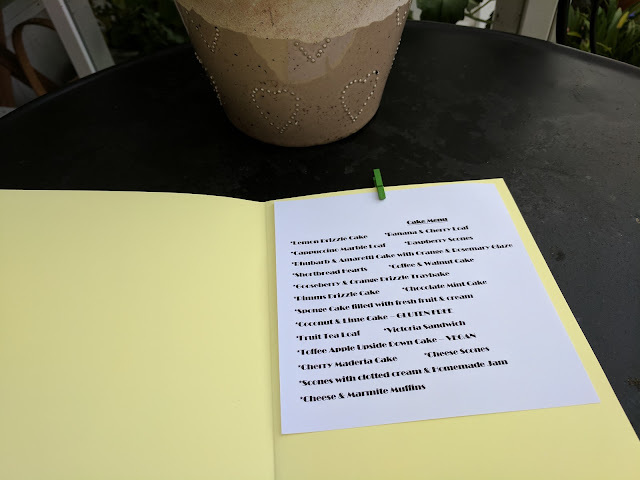 Refreshments available at the Cool Café situated at The Hollies with vegan, gluten free and savoury options available. What a fantastic place to wander and take photos! It truly is important to be able to enjoy the fruits of your labor in a garden! As for a favorite, for me, it just depends on what's blooming at the time!